South Waterfront blog: No More Little Burger? 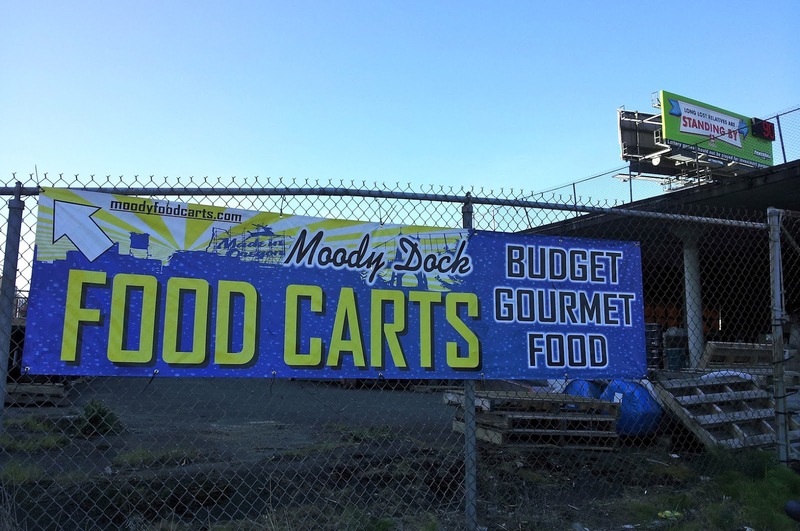 A new sign is up for the "Moody Dock Food Carts Budget Gourmet Food". What do you think? The lotto sign in the background is a nice touch. 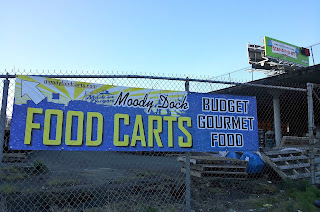 Another item for discussion - the word on the street is NO MORE LITTLE BIG BURGER for the South Waterfront. 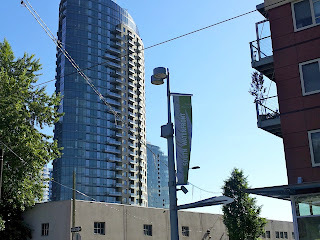 This is just a rumor so far, but I have not seen a bit of action at the location in the Ardea, which was supposed to open in June. Highly unlikely from the looks of things. 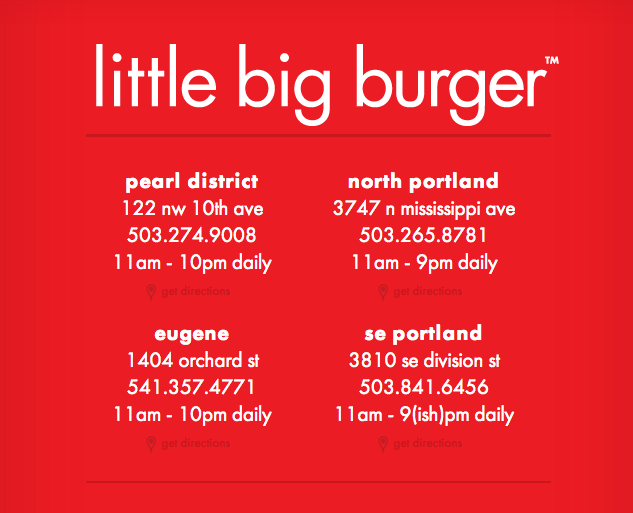 The LBB website lists Eugene & SE Portland, but doesn't list other new expansion locations (which it did previously). 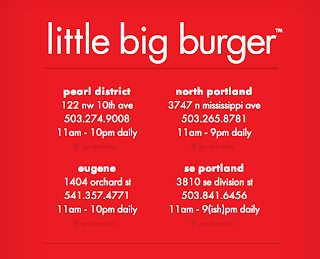 "Just wanted to let everyone know that Little Big Burger is coming to the South Waterfront. 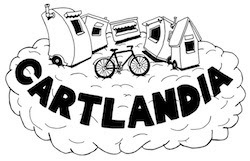 They will probably begin build out July 1st - so we will have to wait a little longer, but the burgers will be here!" I would read "begin build out July 1" to mean an opening in the Fall. But hey, we are happy that they are still planning to open here! By the way, is this flag sign new? I've never noticed it before. They said they were still opening in "late summer".